Have you ever wondered what a pi shawl is all about? 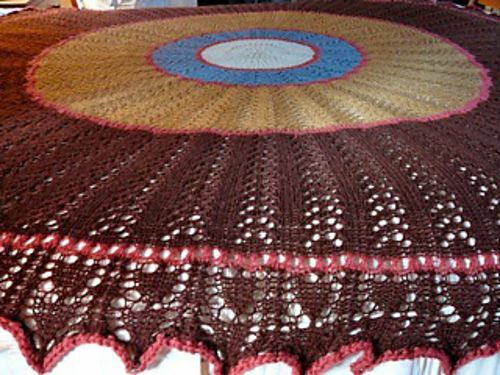 Come learn how wonderfully clever and easy it is to make these circular shawls. Or make a simple modification to make a half-circle. Knit or crochet - the ‘geometry’ is the same! You can either bring a pattern (there are many free patterns on Ravelry), pick up a free pattern here or design your own! The structure of pi shawls means it is super easy to design your own. 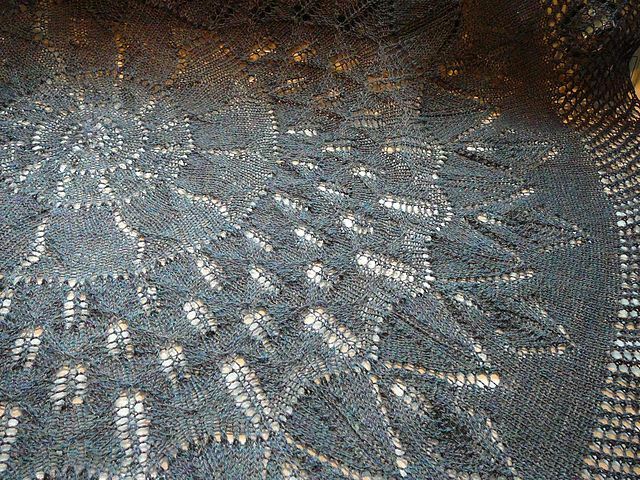 Bring some yarn and needles or hooks, and start right in on your own pi shawl. Any weight yarn will work; any size circle will be great! A coaster, small rug, or a small blanket are all great alternatives to a shawl. 10:00 -11:00 AM will be a talk about pi shawls. 11:00 AM to 1:00 PM will be for those who want to stay and design and/or start a project. Supplies for Students to Bring to the Workshop: The supply list below is for students who want to start a pi shawl project. Students who just want to come for the talk do not need to bring supplies. grid paper, pencils if the student wants to design a shawl. Skill Level: Advanced Beginner and Beyond - If participants want to start a project, they must have basic knitting or crochet skills. 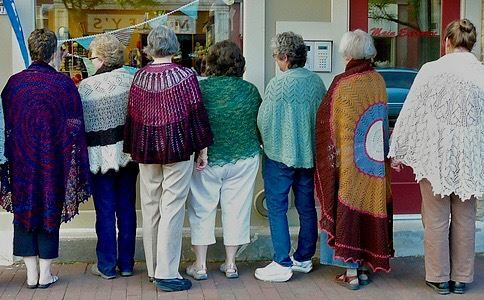 Terry Winer is a long-time knitter, spinner, weaver, dyer, and sewist who enjoys creating a community of fiber artists who get together work on their fiber projects. She can be found most Wednesdays, mid-day, weaving, spinning or knitting with her fellow BARN members in the Fiber Arts Studio.